House Buyers KC is here to help Kansas City homeowners out of any kind of distressed situation. As investors, we are in business to make a modest profit on any deal, however we can help homeowners out of just about any situation, no matter what! There are no fees, up front costs, commissions, or anything else. Just the simple honest truth about your home and how we can help you sell it fast to resolve any situation. You may hear from others, the news, or even real estate agents, that investors are all out to screw over the Kansas City home owner, but this simply isn’t true. House Buyers KC is part of a nationwide group of thousands of investors who are helping tens of thousands of homeowners every year. We may not be the “traditional” route, but the reason many bad mouth investors is because we CAN help and we can do it quickly, which they don’t want YOU to know about! Give us a call today at 913-777-4444 to let us know what YOU need help with! Chad – House Buyer Expert, KC. Chad is the Manager of House Buyers KC. He oversees the Acquisitions Department as well as focuses on building relationships within the community House Buyers KC serves. Whether he is meeting with Clients, Contractors or Potential Lenders, Chad takes the time to ensure each and every person he meets feels great about their future relationship with us. 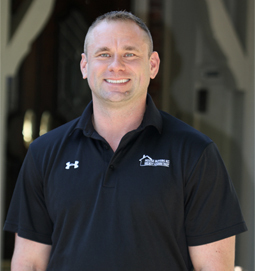 Previous to starting House Buyers KC, Chad has started, owned and managed several other successful businesses in the Kansas City Area. He is a sports enthusiast and loves the great outdoors. Kyle – House Buyer Expert, Kansas City. 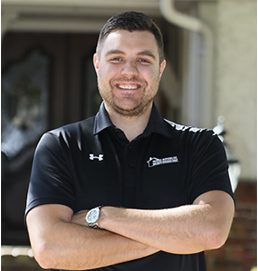 Kyle facilitates the daily acquisitions process at House Buyers KC by helping home owners who want to sell their homes for many reasons. He focuses on ensuring that everyone who sells a home to House Buyers KC enjoys a quick, easy, hassle free process. Kyle earned his Bachelor’s Degree from Rockhurst University in Kansas City, MO with an emphasis in Business Management and Finance. Prior to working with us, he assisted companies Nationwide by delivering the best possible solutions for the commodity transportation needs. Kyle enjoys spending his free time with his Wife and their two Children.